Dual Function - This device is both a wireless charger and phone holder. Fast Charging - Up to 1.4 times the charging speed. Fast charging is available when used with fast charge capable phones. 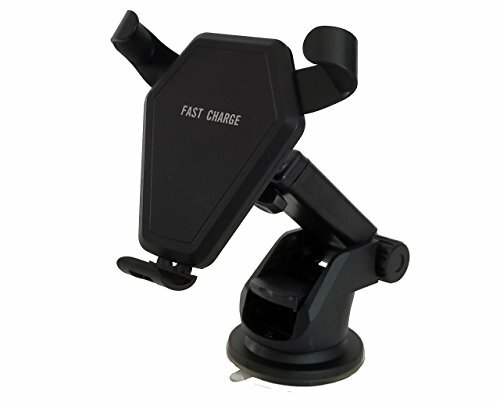 Triple Mounting - This charger includes three options for mounting. Dash or Window mount using sticky suction with extendable and adjustable arm or vent style mount. All options use a fully adjustable ball mount for fine tuning of the display angle. What's in the box: Wireless Car Charger Body, 3ft Micro USB cable, Fast Car Charger ,Air Vent Mount ,Dash / Desktop / Windshield Mount, User Manual, 12-month warranty. If you have any questions about this product by Shaggy Peak, contact us by completing and submitting the form below. If you are looking for a specif part number, please include it with your message.